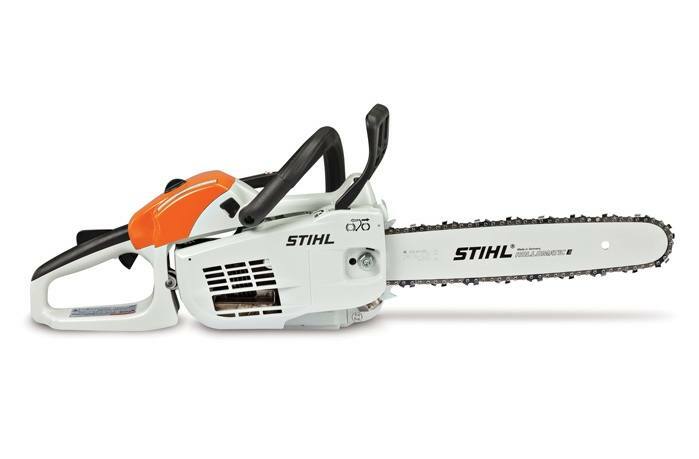 A lightweight, high-performing chainsaw with STIHL M-Tronic™ technology. Starts easy, runs smooth. The MS 201 C-EM delivers high power and smart technology in a lightweight package. The added STIHL M-Tronic™ intelligent engine management system automatically adapts to changes in environmental factors such as fuel quality and altitude. The result is a reliable and fuel-efficient machine that performs optimally in a variety of conditions. In addition, the MS 201 C-EM features our STIHL Easy2Start™ system - making engine starting almost effortless. Farm and ranch jobs will be made easier with use of this well-balanced, low-vibration and durable chainsaw. STIHL recommends #3616 (63 PS3 50) OILOMATIC® saw chain and 14" 3005 000 7409 Ematic™ guide bar combination. The actual listed guide bar length can vary from the effective cutting length based on which powerhead it is installed on.